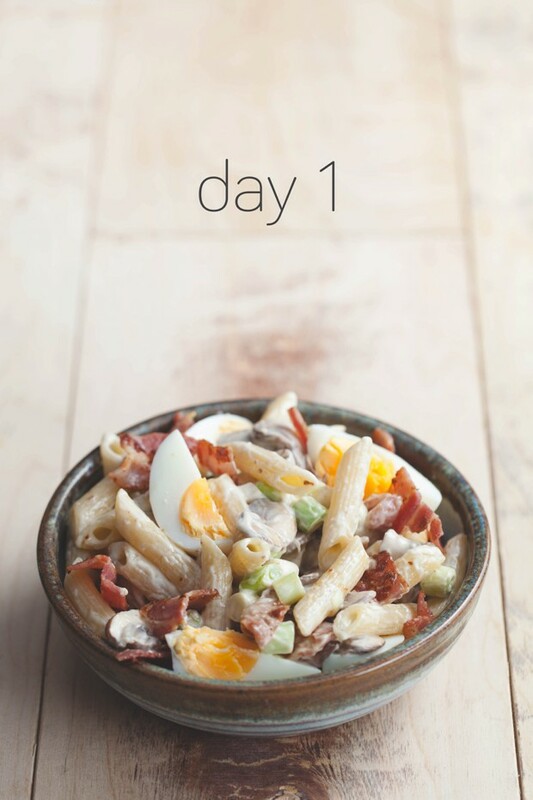 Now that Freshers Week a distant memory, it’s time to make sure you’re eating super easy and tasty meals… that’s why this whole week we’re going to share a recipe a day for you! Cook the pasta and the eggs in the same pan. Boil the water and add the eggs first and then the pasta a few minutes later, so that it does not overcook; i.e. eggs for 7 minutes, then pasta and eggs for a further 5 minutes. Fry the bacon until crisp and remove from the pan. Add the mushrooms and fry until browned. Cut the bacon into bite-size pieces. Mix the oil and mayonnaise together. Drain the pasta and eggs and run under cold water. Take the shells off the eggs and cut each into four. Mix everything together and serve with a little green salad.